Since the beginning of 2018, 45,000 passengers were transported through the Baku International Sea Trade Port, which is 50 percent more than in the same period last year, a spokeswoman for the port, Vefa Safarli-Abdullazade, told reporters in Baku Dec. 14, AzVision.az reports. 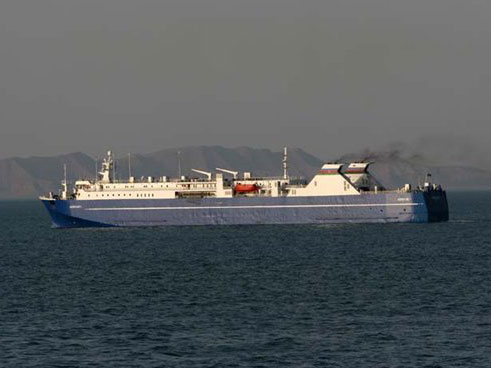 She said that this is a record figure for Azerbaijan in terms of passenger transportation by sea over the past 20 years. “It is expected that 47,000 passengers will use the services of the Baku port by the end of this year,” she added. There are also plans to establish online ticket sales in 2019 in order to increase passenger traffic, as well as to simplify the process of selling tickets in general, she noted. The foundation of the new Baku International Sea Trade Port complex was laid in 2010. The ferry terminal was commissioned in September 2014, and the Ro-Ro terminal was commissioned in January 2018. The port covers a territory of 117 hectares and has 12 berths. The cargo handling capacity of the port is 15 million tons, including 100,000 containers per year. The total length of berths is approximately 2,100 meters.